The crossover between film and digital culture has created a new field in which digital pioneers, interactive designers and graphic designers work together with directors, screenwriters and producers on innovative media productions. Together they explore the future of storytelling in a changing media landscape. This future is digital, sometimes interactive, sometimes immersive, sometimes in co-creation with an audience, but always based on the power of the story. The Immerse\Interact programme stimulates projects within the interdisciplinary media landscape to set the bar high. 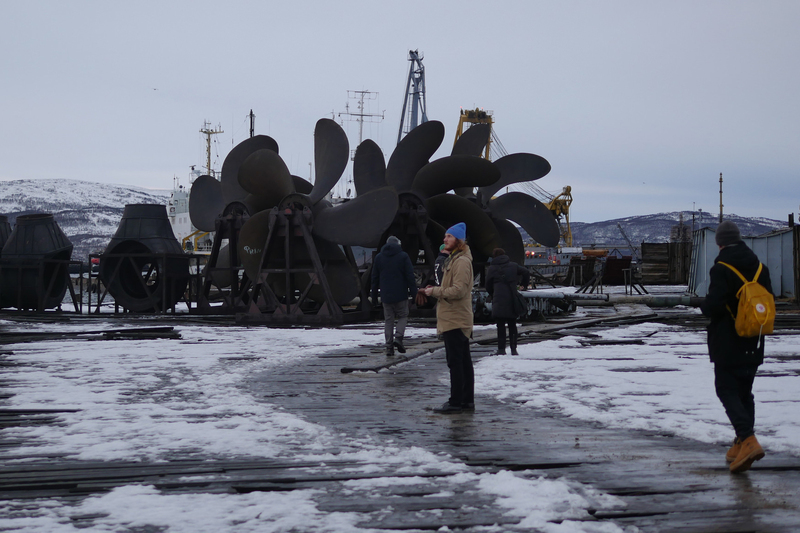 It is a programme offered jointly by the Creative Industries Fund NL and the Film Fund. Artistic research and experiment in the field of digital storytelling and the use of interactive or immersive media play a central role. Film producers and AV producers with a demonstrable track record in the field of interactive storytelling or immersive media forms (360-degree video, Virtual Reality, Augmented Reality) can apply. In addition, individual makers with demonstrable expertise in the field of AV are eligible to apply for a maximum contribution of €30,000. To apply, the makers must be registered with the Chamber of Commerce. Producers and individual makers who apply for realization must have a filmography/portfolio containing at least one realized project in the disciplines mentioned. If in doubt about this portfolio, a request may be submitted for review of the portfolio by the Funds up to three weeks before the closing date. € 25,000 per project. The contribution is intended for carrying out research, writing scenarios and other preparatory work prior to the actual production phase. The advisory committee may also decide to grant a coaching contribution of up to € 5,000, provided that a proposal for a coaching component is part of the application and budget. € 100,000 per project, intended to cover the production costs. A reasonable degree of co-financing is required for this phase. The budget for the production phase must be balanced within six months of a grant being awarded. It is possible to apply for an additional contribution of € 5,000 for distribution. In total a maximum of € 30,000 for realization including development and excluding a possible coaching contribution of up to € 5,000. Starting grant for individual makers: the committee can award a starting grant to a maker if it feels that further development of the plan is worthwhile, but the application for development has been submitted too early. This contribution may not exceed € 7,500 per project. The starting grant is intended for the first phase of a project. The contribution can be used to further develop a concept into a full development plan. The advisory committee awards a maximum of three starting grants per round. Eligible to apply are artistic productions that contain a supporting cinematic component and in which storytelling, both fiction and non-fiction in relation to interactive (web-based/mobile) or immersive media forms (360-degree video, VR, AR), plays a central role. Crossovers in the form of transmedia productions or installations can also be considered. step towards the look & feel of the project, with attention for design, cinematic quality; possibly including mood board or clips etc. budget and financial coverage plan. Applications can only be submitted in digital form to the Netherlands Film Fund. The subsidy office checks applications for completeness and formal requirements as laid down in the General Regulations. Only complete applications will be taken into consideration. If your application dossier meets the conditions, it will be submitted to an independent advisory committee, which will assess the application on the basis of the established criteria. The committee issues a recommendation to the Board of the Film Fund. Click here to view the composition of the advisory committee. The board will take the committee's recommendation into account in their decision to award the subsidy or not. You will be informed of this decision in writing, at the latest 10 weeks after the closing date. After completion of the project, the makers are asked to present the project to the advisory committee. The above information is an explanation in broad outline. The text of the regulations and protocols below prevails. Applicants may apply by submitting the digital version of the application form with its attachments to the Netherlands Film Fund. In addition, a signed paper copy of the application form (without attachments) must be received by the Film Fund within two days of submitting the digital version. The digital application is leading in the evaluation. Only complete applications will be considered. With an account you can submit a digital application in Frame. If you do not have an account yet, go to www.filmfonds.nl/digitaal-aanvragen. 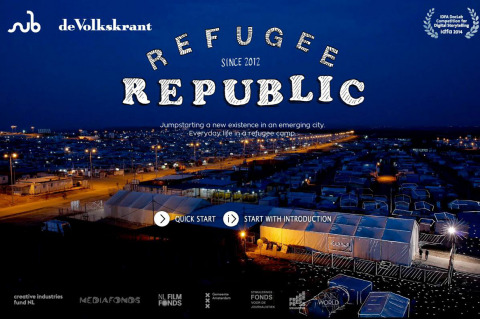 '24 uur in een vluchtelingenkamp' (24 hours in a refugee camp) is a transmedia project by Martijn van Tol, Dirk Jan Visser and Jan Rothuizen in collaboration with de Volkskrant. The project charts the lives of people who have sought shelter in Domitz, a Syrian camp in northern Iraq. Rather than depicting the refugees as victims, the makers of this interactive production want to highlight everyday life in the camp. The stories are visualized by Jan Rothuizen and Aart Jan van der Linden. Familie Film & TV has received a development subsidy for a project entitled 'Ook al ben ik zwart als roet' (Even though I'm black as soot), which it is producing with Sunny Bergman, (Beperkt houdbaar, Sletvrees) and IJsfontein. 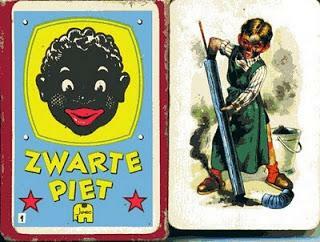 'Ook al ben ik zwart als roet' is a transmedia project that examines insidious forms of racism and so-called 'white privilege'. More than a television documentary, it uses various (online) platforms and a game to highlight and discuss privileges and unconscious prejudices regarding skin colour. The annual discussion concerning the folklore figure known as Zwarte Piet formed the immediate inspiration for this project. 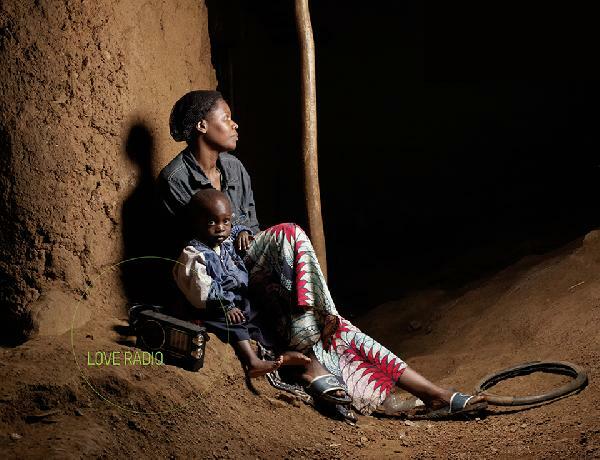 Love Radio is a transmedia project about the reconciliation process and the way people are coping with the genocide in Rwanda. In April 2014, it has been exactly 20 years since the killings of Tutsis and moderate Hutus took place, leaving more than 500,000 people dead in 100 days. The project consists of an online, interactive documentary and an exhibition in FOAM. In both cases, the makers address the fine line between the (imposed) reconciliation and the underlying tensions. Central to the project is the radio soap Musekeweya (New Dawn), a very popular Rwandan soap that aims to bring the different communities closer together. The very medium that was used to summon Hutus to murder their Tutsi neighbours 20 years ago is now used for this dramatized peace message. Though happy endings dominate the soap, real time reconciliation is proving difficult. Love Radio follows the soap's writers, actors and listeners: Hutus and Tutsis who each carry their own memories. The premise of the documentary is that there is no such thing as 'the truth'. There is room for different perspectives. The main characters, perpetrators and victims tell the story from every angle. The transmedia experience includes excerpts from Musekeweya and radio clips from 20 years ago. The production team is made up of photographer Anoek Steketee and filmmaker/journalist Eefje Blankevoort. Sara Kolster is supervising the online process and Kummer & Herrman are responsible for the design. 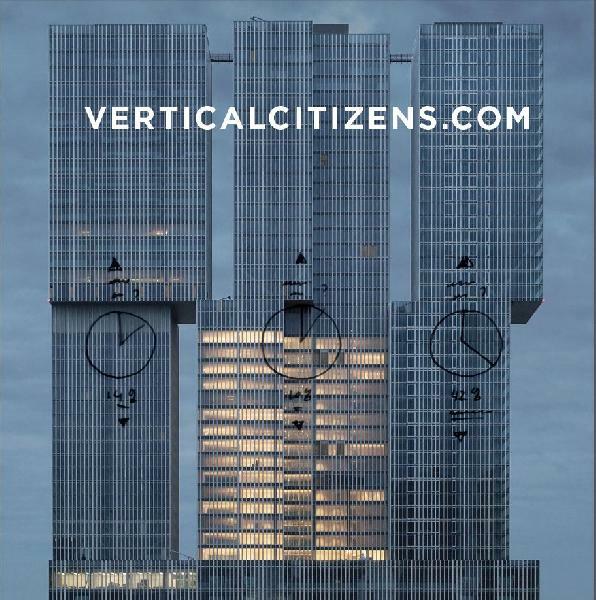 Verticalcitizens.com follows the first inhabitants and users of Koolhaas's new building De Rotterdam online, showing how a new community slowly gathers and gains momentum – or, if things go badly, crumbles and falls. Verticalcitizens.com is a transmedia project: the site interacts with the documentary film Verticale Stedelingen. Verticalcitizens.com will follow the developments in De Rotterdam for at least two years after its occupation. The project depicts the building as an organism, with data functioning as a heart monitor, supported by photography and audio functioning as ECGs and a thermometer. This application includes the development of the site and the transmedia architecture of plot lines.